The other day, as I packed for a short work-related trip to Milano, I realized this would be my last business trip ever and I could not help recalling to my first, in 1978. That trip had not crossed my mind in years but it was remarkable and the memories now recalled are vivid even these 37 years later. In 1978 I was working for the Bell System in Minneapolis as an instructor. 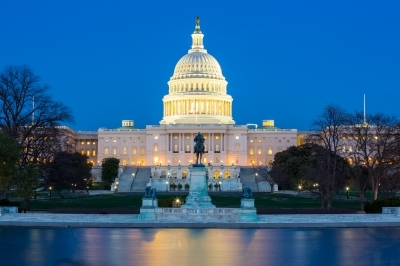 Why at the age of 25 anyone thought I had anything to teach anyone I don’t know, but I was sent to Washington, D.C., to represent my company in meetings with AT&T and develop a new national training program for our accounts people. Needless to say I was very excited and thought I was a real hotshot. 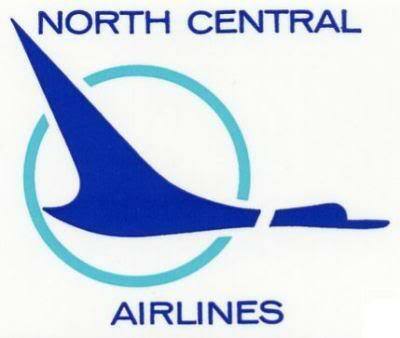 I flew on the now-long-defunct North Central Airlines (whose vestiges live deep inside Delta after many acquisitions) and rented a car at National Airport. (Reagan hadn’t even been elected yet so the airport was far from being renamed.) It was winter. I rented a car and proceeded through the dark city. The rental car broke down on Connecticut Avenue, in front of a church. On a Sunday night there was little traffic. Panic! No cell phones in those days. What to do? As I fretted a man approached the car. More panic! He motioned from the passenger side for me to roll down the window. I cracked it an inch. “I don’t expect you to trust me,” he said, “but it appears you are lost or…” he let the sentence dangle. “I am the pastor of that church. How can I help you?” I explained my situation. He went to the church, called the car rental company, and returned with instructions: leave the car and take a taxi. They would deliver a new car to me in the morning. The pastor even called me a taxi and waited with me until it arrived. My first business trip was on an airline that no longer exists. I never got his name, and I doubt I could even find the church any longer, but the kindness of this stranger has not been forgotten. The situation and his kindness made for a memorable experience. I am hard-pressed to figure out how many business trips I have made over the years. In the 1978-1983 period I often traveled around the upper-Midwest for my employer. Later in the 80s Denver, Phoenix and Seattle figured prominently as the Bell System broke up and I worked for the “Baby Bell” called U.S. West. There were 14 states and 26 cities I had to visit on a regular basis as Vice President of Sales for a division of that large company. Ric and I courted while he flew west and I flew east meeting in Denver’s Red Carpet Club. In the 90s I had a job in information technology consulting as a managing director requiring travel about 46 weeks a year, often hitting two cities in a week. I sometimes had to look at the phonebook in the middle of the night to remind myself where I was. I was gone so much that our dog quit sleeping on my side of the bed and switched her allegiance to Ric. 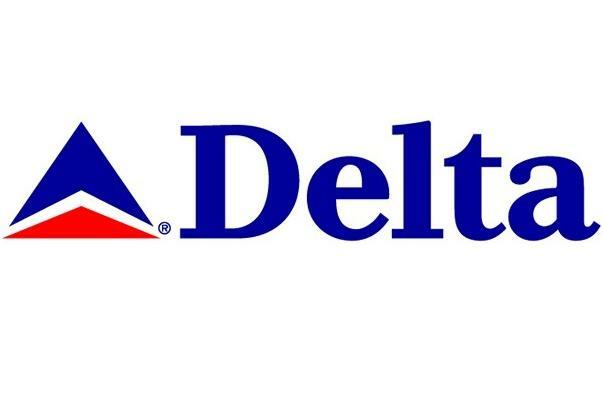 I logged over 100K miles each year on Delta for several years. My final career business trip is memorable for other reasons: I am in Italy of all places, not something I would have even dreamed of back in 1978. I took a train, not a plane, and there was no rental car. (It would have cost Euro 40.00 a night to park it!) I will carry memories of terrific co-workers who aided in a difficult task, and of a hotel that tried to charge me extra for checking out early (that’s one I have not heard in 37 years of business travel), and it will be the last time I stay in a luxury hotel paid for by someone else. No more frequent flyer/sleeper/driver points earned by my employers’ dollars. I am a little nostalgic for those days when airline travel was something one looked forward to. We dressed up, we got reasonably palatable meals served at least some of the time on real china. You could check all of your bags for free! Ric and I were fortunate to take many first class flights on vacation trips, courtesy of those hard-earned miles. The real price of the trip was having to get back on a plane for “fun” after weeks of business trips. 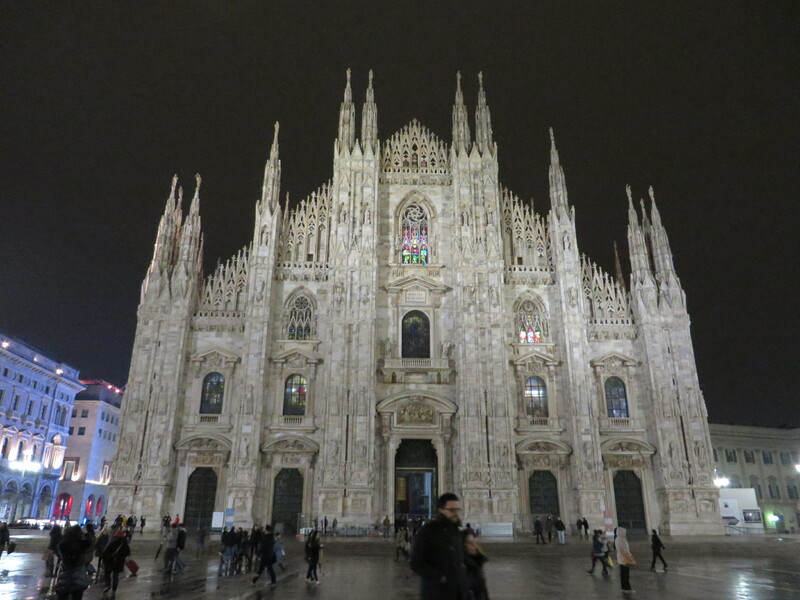 Milan, the Duomo…far removed from D.C.
First and last: what a (pardon the pun) trip it has been! And this, Laurel, is what I thought of when I read your words….. Loved the sentiments and could almost hear you recounting the stories aloud. All the best to you and Ric and hope to see you in August! As one who traveled with you or met you in many of those cities, I read your blog with equal nostalgia. Our lives have been filled with many blessings and lots of adventures. I am blessed to have known you and continue to read each post with delight. I wish you a joyous retirement. It really is fun. Lloyd and I realized we have been retired now for almost 6 years and love, love, love every moment. I know you and Ric will enjoy the freedom and adventure of it as well. Happy, happy retirement. Wow, 6 years already! Cannot believe it! Yes we had some trips, didn’t we? Crazy travel, long hours, but many accomplishments and stories…. I’m so glad you are going to continue your blog after you retire. I enjoy keeping up with you as I read about your adventures. You will love retirement! It’s nice to do what you want to do in your own schedule. I love it. Looking forward to seeing you in August. We will indeed see you in August! Big hug! I’m sure retirement will be a very different chapter in your life experiences. But I’m sure it will be just as amazing for you. Or that is my wish for you anyway. Anita, what a lovely sentiment! It will be both: different and amazing. I have to get used to not trying to do everything and to enjoy each moment. I think we are off to a good start! I guess I didn’t realize you’ve decided to retire! Wow….does that mean you’re returning to the USA and traveling from here? Hi Marcia, No, we are staying in Italy for two years, at least that is the plan. We want to take advantage of being here to see more of Europe, but the plan is to comeback to Portland in 2017 permanently, but we will be back in August for a visit. You will adore retirement. I’ve been retired just over a year. So nice to have money coming in (Social Security and pension from job) and not have to go to the office for eight hours a day five days a week. No stress, no commute, no wrangling to get time off to do what I want to do and no supervisor nearly having a heart attack because I saved up my vacation hours and went to Venice for a month! Wonderful memories. I also remember my first overnight business trip with IBM … 1975 from Indianapolis to Terre Haute, Indiana. I can’t remember the hotel, probably because it was so unmemorable! But here we are now, world travelers like you and Ric and enjoying every minute of it. Congrats on your retirement and upcoming travels. We hope you’ll keep you blog going! I plan to continue to blog, Will. It’s become a fun outlet for me and a good way to remember where we’ve been. 🙂 Like Gracia, I take too many pictures so I have to do something with them. Hi Deb. Last day is May 19. Derek will be here to celebrate with me!